Kentucky Joint Supplement is probably the most affordable joint supplement on the market. Kidney Flush is used to encourage a healthy balance of fluid within the body and promote healthy kidney function. This can be used on a weekly basis to naturally balance water levels within the body or prior to competition to reduce weight. 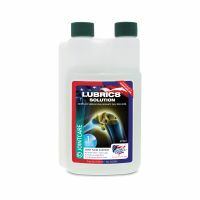 Products such as this should be used with caution, and not used on pregnant mares or as a daily supplement unless recommended by a veterinary surgeon. Kidney Flush can be administered by syringe or added to the feed. 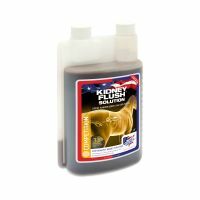 A powerful and effective product for horses and ponies suffering an attack of Laminitis. 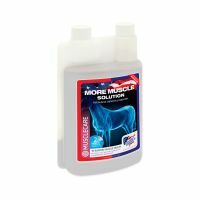 More Muscle should be used in preperation for the show or dressage season, to prepare a youngster for sale or to provide daily strength for the show jumper, eventer or racer with healthy muscle capacity and power. 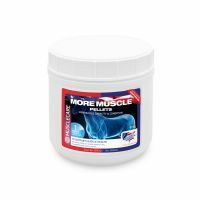 More Muscle should be used in preparation for the show or dressage season, to prepare a youngster for sale, or to provide daily strength to the show jumper, eventer or racer with healthy muscle capacity and power. Head shaking can become a thing of the past. 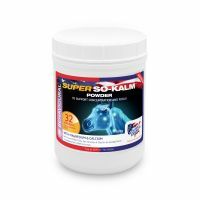 When the ultimate calmer is needed, use Super So-Kalm Paste. 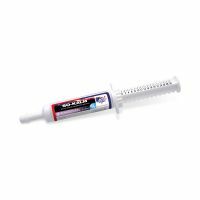 This convenient single serving syringe will ensure focus and calmness without removing the edge required for competition. Reduce stress, promote calming and improve concentration. Fast exercise produces lactic acid in the muscle and as a result, many horses suffer from muscle stiffness or cramps during, or after work, leaving the horses looking ‘tucked up’. Tye-Gard® contains highly absorbable human grade Vitamin E and Selenium. For total gastric health. ULS-Gard, formerly U-Gard Plus Powder is formulated for horses with sensitive stomachs and associated problems such as difficulty in maintaining condition.